Adopt a German Shepherd in your area... We want to help give these deserving dogs a second chance to have the best life possible through adoption, referrals, rescue and/or behavior counseling. We at Total-German-Shepherd.com want to help spread the word about GSD rescueand all it's benefits! 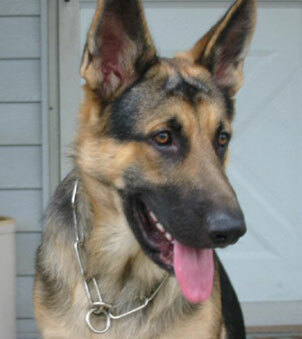 Have A Great Story About a German Shepherd That You Have Rescued? If you have a great German Shepherd rescue story then please share it with us! Many readers share their own stories with me all the time about rescuing their own German Shepherd. Now you can do the same - virtually anytime - right here. No need to email me anything additionally, just type your German Shepherd rescue story in the form below, add a picture if you'd like, click submit and you're done! Easy, schmeazy!